Click the photo to see a bigger size! Even though DMC has been established in 2009, the CEO’s father actually had been tuning cars since 1956. 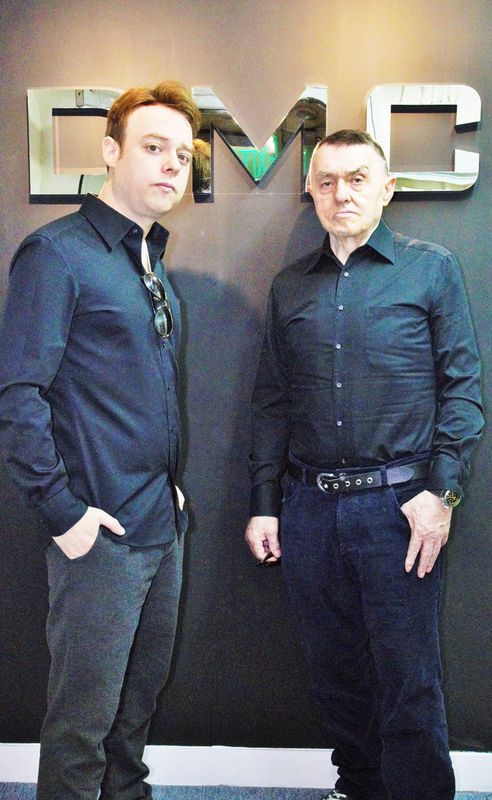 A massive knowledge he passed on to his son, who decided to start the brand. 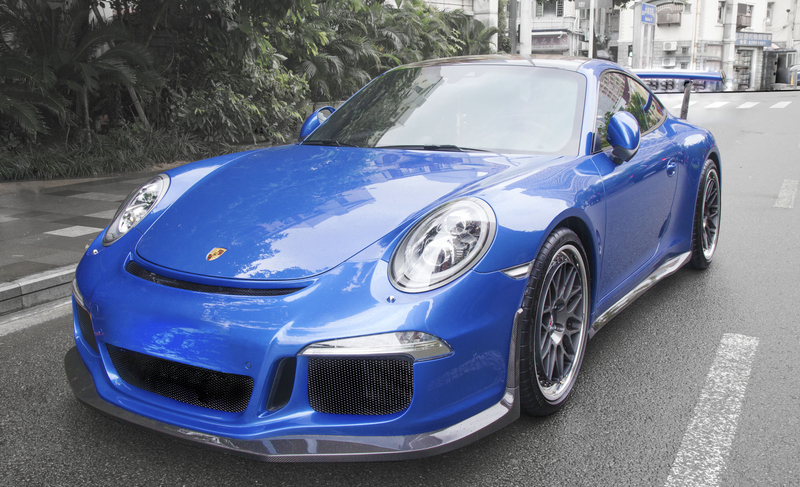 But while the newly formed company put its focus on Lamborghini, the retired father was always a fan of the most traditional of all German supercars, the Porsche 911. Today, DMC was able to align generations by introducing the #DMC991 . 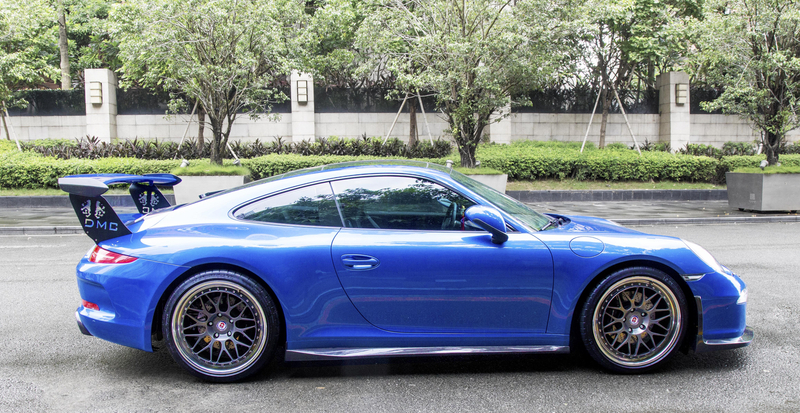 Its rear wing wears the DMC lions, originating from the family’s city of birth, Duesseldorf. Father & Son, born in Germany, are represented by each lion. 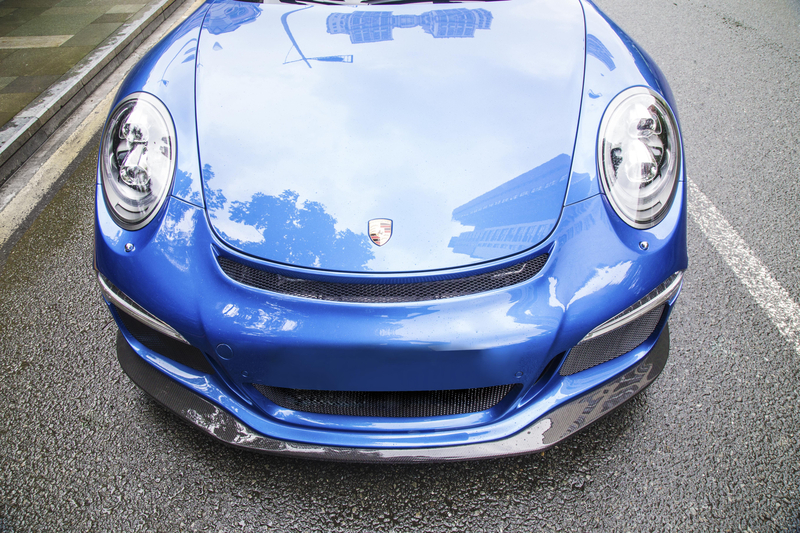 The spoiler comes with a beautyful option to change the aerodynamic angle: Owners can set it to City, Cruise or Insane mode, a choice that the original Porsche lacks. 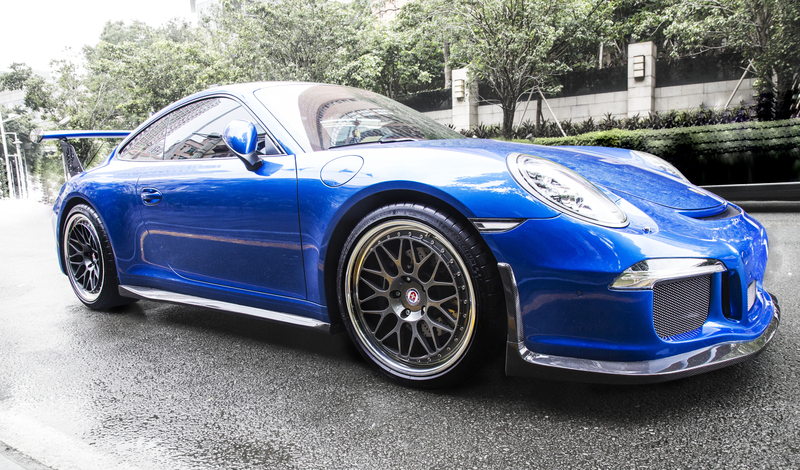 Regular 911s also need to change the engine cover to install this wing, but considering the stunning appearance of the carbon fiber material, GT3 RS owners might also want to swap their deck lid for the new DMC one – it’s gorgeous. 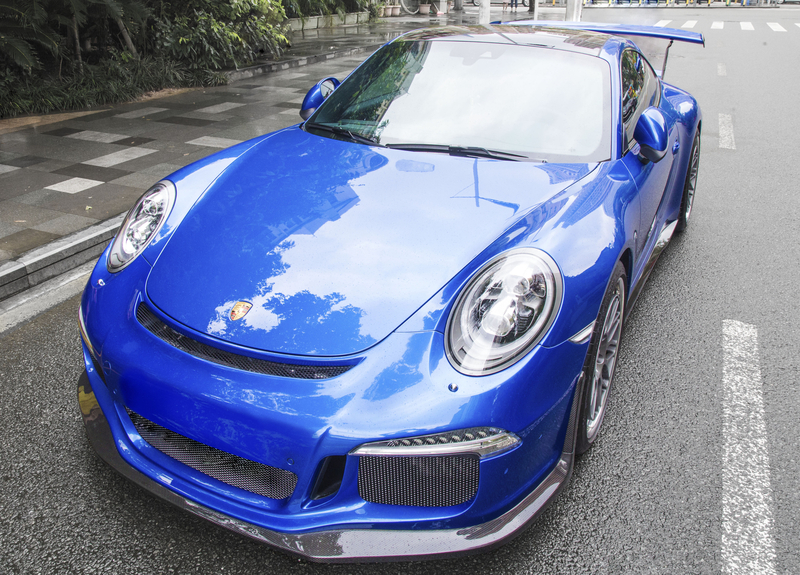 While the front and rear bumpers can be replaced for normal 991 models, the GT3 RS clientel will put their focus on the carbon fiber front lip and side skirts. The stunning material further highlights the sporty look and adds an aggressive super car touch to the already perfect car. 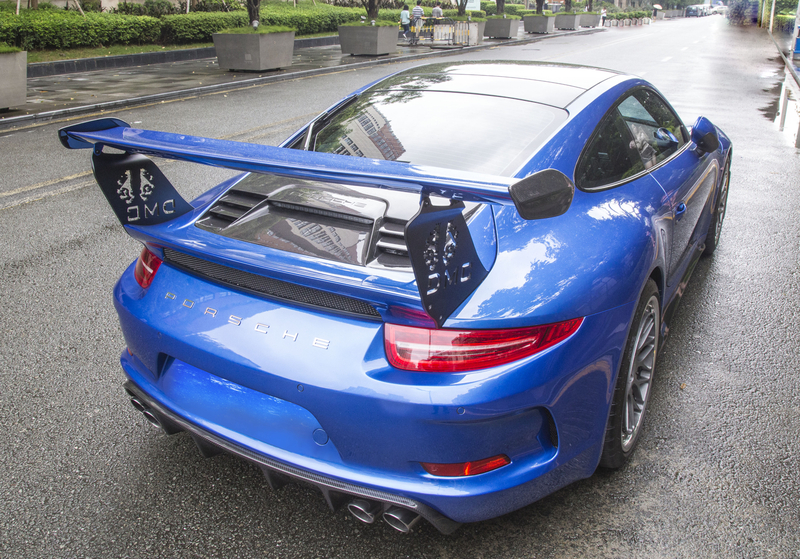 The rear diffuser improves the road handling as well, but is only available for the non-GT3 Porsches. We believe that it’s a stunning package. 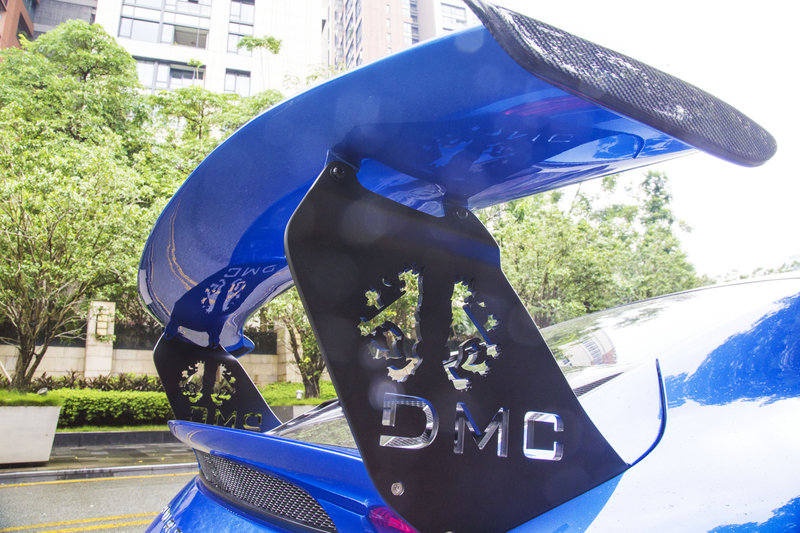 Considering that this project also united father and son’s ideals, we can say that it adds a personal touch to each car that DMC is going to refine. If you would like to become part of their engineering vision, don’t hesitate and contact them through their website at www.DMC.ag now.